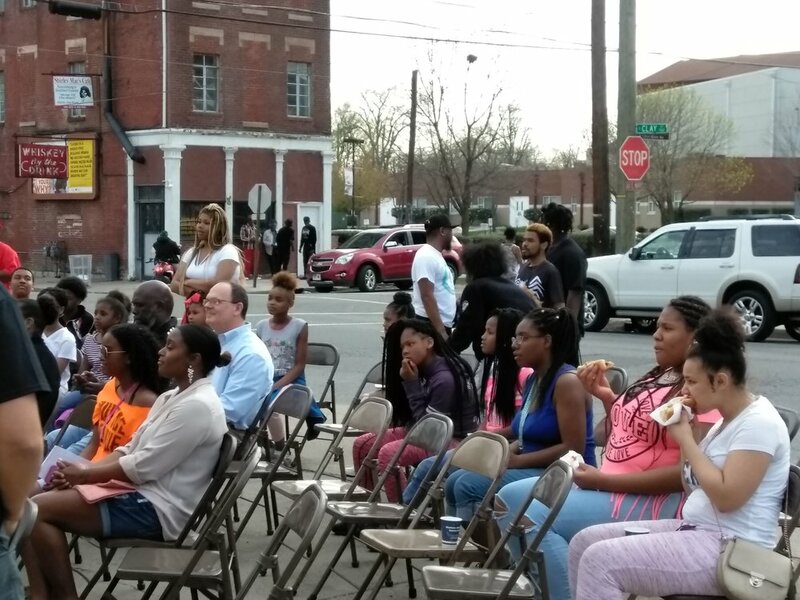 On Friday, we had an awesome time celebrating with the Smoketown community. AHA! Moments Is a completely FREE series of events and performances in partnership with the Muhammad Ali Center. The series is being launched in collaboration with IDEAS xLab’s 2nd One Poem At A Time (OPAAT) campaign. The celebration featured pictures of community members for the “Worthy of Everything” campaign, lightning talks about youth programming at Meyzeek MS from artists Brianna Harlan and Hannah Drake. Tonia Phelps and Tom Walton talked about the HOPEBOX Community Development Project underway in the community, Trinidad Jackson researcher from U of L shared information about Youth Violence Prevention and continuing to disrupt the systems that have oppressed black and brown people while we also had multiple performances from our youth: Brandon B. Shatter, James Newton Patrick, and Shades of Ebony. Department of Health & Wellness had a table with resources and Steam Exchange engaged the community in a FREE Screen Printing activity. Let’s not forget about the hot dogs, water and Shirley Mae’s to keep people from being hungry. Thank you to all the performers and attendees for making AHA Moments a great success. 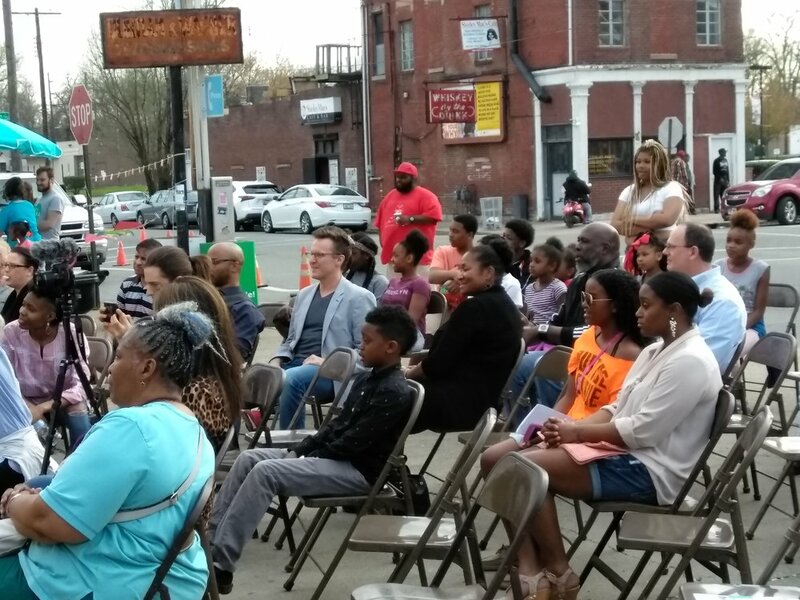 Thanks to Doo Wop Shop, Clevetta Drake for the awesome grilling, Department of Health & Wellness, Pastor Williams, Louisville Water Company, and anyone else that played a part in making this a great success. We couldn’t have done it without you! This event was truly healing for the mind, body, and soul. Muhammad Ali once said " If your dreams don't scare you, they aren't big enough"
This website is managed by the Smoketown HopeBox Corporation, a nonprofit comprised on more than 10 organizations and led by YouthBuild Louisville, Bates CDC, Bates Memorial Baptist Church, Coke United Methodist Church, Smoketown Neighborhood Association, and IDEAS xLab. Sign up to receive updates, event and resource information and more from Smoketown Voice! Thank you for joining the Smoketown Voice email list!